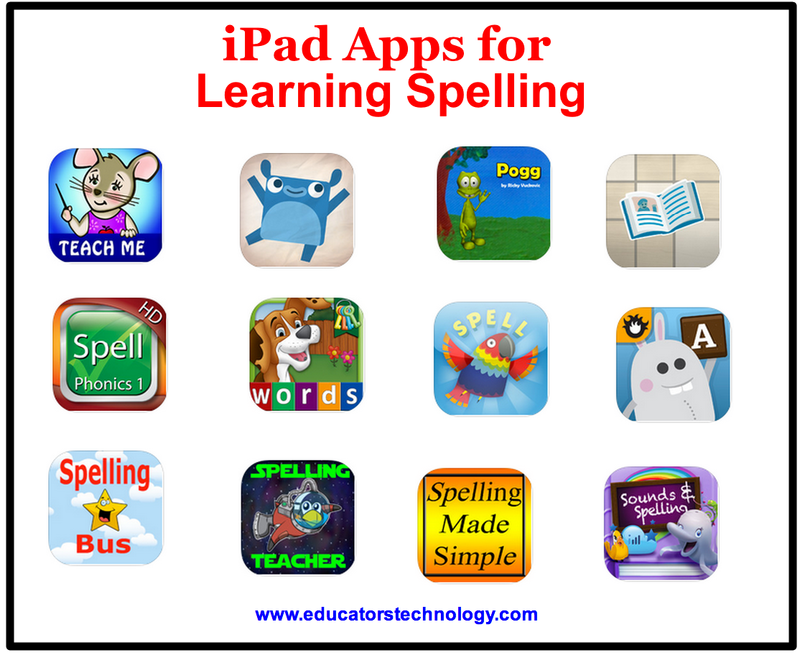 While working on this list of iPad apps for learning spelling I came across over a hundred app which are all supposedly geared towards helping kids and young learners with their spelling but going through them I came out with only 25 and the rest was just a waste of time and effort. I might have skipped some good titles to add to this list but I am pretty sure the ones included in this selection will serve the purpose perfectly. Gappy's First Words is a good adventure for pint-sized learners just beginning to read. Spell words to close the gaps and get Gappy home while earning the parts to redesign his colorful house. From a cozy cabin to castle with a gingerbread roof, there are over 700 creative combinations to build in the fun game that gives little learners a big start on reading. Spell with Pip is the new spelling game from Oxford University Press which combines practice with arcade-style gameplay, and bright, beautiful graphics. For children aged 4-8 years. Utilizing fun and unique illustrations, your child will practice writing and reading, in a series of self-directed and engaging activities. Start with phonetics and then proceed to phonograms! This educational app is a great tool that allows kids to practice their spelling words with fun interactive mini games. Kids can explore this magical world of spelling with our spelling monsters. Just enter your spelling words and the adventure begins. This extended version of Rocket Speller reinforces letter names & develops knowledge of letter sounds in a game that engages kids. Contains 450+ words, Adaptive Assistance, and more rockets! Set the stage for reading success with this delightfully interactive educational app. Kids will have a blast learning their ABC's and building vocabulary with the adorable monsters in Endless Alphabet. Each word features an interactive puzzle game with talking letters and a short animation illustrating the definition. Pogg is a fun iPhone and iPad educational game for young children, as well as a proven useful tool in kids' language development. It stars Pogg, a little green alien who can do all sorts of things. "First Words with Phonics" introduces a unique way of assisting children to learn reading through Synthetic Phonics, by linking the individual letter and letter combinations with its appropriate sound and effectively demonstrating the blending of sounds to achieve word pronunciation. Spell words by helping Hoppy lick letters as they float across the screen. Each correct spelling earns you Leapin' Loot coins that you can use to get tons of awesome clothing to dress your frog (NO IN-APP PURCHASES!). Transform your ordinary frog into the most stylish amphibian around! TeachMe: Kindergarten is an educational iPhone/iPad/iPod touch app which teaches six different age appropriate subjects to Kindergarten aged children: sight words, addition, subtraction, spelling and now writing letters and numbers. Parents can select which subjects they want, set different difficulty levels, and even choose specific questions. Parents can review performance history for each subject to check how their child is doing. The Spelling Teacher app includes Julia, your child's private spelling teacher who interacts with your student while playing fun learning activities. Teacher Julia also reads words and sentences during spelling practice and while taking weekly spelling tests. Of course, if desired a student can make their own recordings of assigned words and sentences, expanding their learning and having even more fun. FREE educational game for children that teaches spelling and handwriting. Help Wordy the frog build a beautiful magic garden by spelling words correctly. Kids learn to spell the most needed words as they play. Application presents each word by displaying a picture and pronounces the word and presents the letters that are needed to make the word. Kids use there hand to arrange the letters in the right order to make the word.